Roofing Company In Dallas, TX Offering Repairs, Installations And More! Experienced Roofers Providing Services That Last! Over 15 years ago, we began our roofing company with the goal of satisfaction for every customer. Since we’re still open for business, it is clear that we seem to be doing something right. Eclat Roofing offers our services to both homes and businesses, and our roofing contractors can work with any roofing product on the market today! Not only do we serve our home area of DFW, but we can also travel across the great state of Texas to Oklahoma and Louisiana to bring them our top-tier installation, replacement, repair and maintenance services. We’re open 24/7 to bring you the best possible roofing services. Call us now at (214) 373-1500 for a Dallas, TX roofing company that will take care of your roof. We know just how important it is to find a roofer who knows what they are doing when it comes to the roof over your home or business. We also know that we are the best choice in the area. We are a full-service Dallas, TX roofing company that can meet the needs of any home or business at competitive rates. We’re even available around the clock, 24/7, for all your roofing needs, so you know we’re dedicated to doing the job right! We want our customers to feel safe knowing their roof is in good hands when you choose Eclat Roofing. If our A+ rating at the Better Business Bureau isn’t enough, we can provide all our potential customers with references from previous projects. Call us today at (214) 373-1500 to schedule our services today! Our company believes in providing superior services for residential roofing in the Dallas, TX area and beyond. We want the roof over your head to last, which is why we even offer maintenance for roofs in addition to repairs! You can have the world’s most durable roof, but it won’t last as long without periodic inspections and maintenance. Believe us, it’s a quality investment. Clay Tile: Clay can naturally withstand temperature fluctuations, which means it won’t expand or contract with the varying humidity in our area. 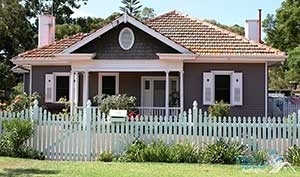 Composition Shingle: For an affordable roofing option, shingles are your best bet. Concrete Tile: An alternative to clay tiles, concrete tiles can be an attractive and durable roofing choice for homeowners. 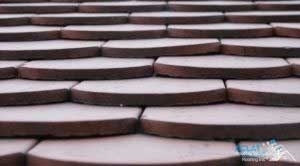 Imitation Tile: Yet another substitute for clay tiles, imitation tile is one of the most durable roofing materials on the market today. Metal: Another option with supreme durability and endless customization, metal roofs, in particular, may surprise homeowners with the number of forms they come in. Steep Roofs: Steep roofs are eye-catching and resistant to some weather damage due to their steep slope. Wood: With fantastic insulation capability and a beautiful natural look, wood shingles make a fantastic roofing choice. 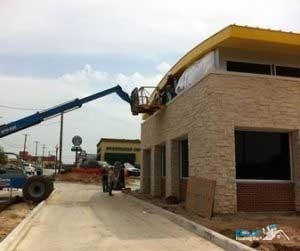 Not only do we serve homes, but our Dallas, TX roofing company also has experience serving businesses! No matter what kind of roof you have over your business, chances are we can repair, replace or maintain it. Maintenance helps roofing contractors find damage to your roof before you may notice it and before it results in a costly repair. It’s worth your time and money to schedule periodic maintenance for your commercial roof. Built-Up: Built-up roofs are layered with modified bitumen (asphalt), gravel and fiberglass components for a roof over your business that will last decades with the right maintenance. EPDM: No matter how hot it gets, you can be assured your rubber roof won’t give out. Flat: Most commercial roofs today are low-slope or flat, which is our primary area of expertise when it comes to commercial roofing. Modified Bitumen: This material is UV resistance and does not require many repairs. TPO: If eco-friendliness is the goal of your business, TPO is an excellent roof choice for you! As if all the above roofing types and services weren’t enough, we still have more! We offer inspections, damage repairs and more after those DFW severe storms hit homes and businesses in the area. We employ insurance specialists at our roofing company so they can walk you through your insurance claim! If your roof is damaged from weather or something else and you believe your home insurance company should pay for it, we can help you get the most out of your claim. 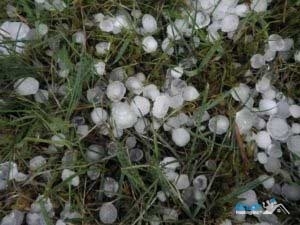 If you want your roof to be protected against weather damage, we recommend our hail resistant roof installation! These ultra-durable roofs come in several different materials and styles to bring you assurance that the roof on your home or business will weather through storms. Not only that, but these roofs also add value to a property, which makes them a solid investment. Updated on November 21, 2018 at 5:44 pm by Eclat Roofing.